Well it seems that it DOES offend some UNNAMED MET officials who have now banned armed cops at Heathrow Airport from wearing the tiny Union Jack flag badge on their clothing. These Union flag badges have been worn to show support for British military troops. Approximately 70% of these armed cops have served in the Forces and/or have children or other family members currently serving in Afghanistan. Now who might you imagine would find the British flag as "offensive"? Who might be whining and complaining about it ?? -- Should we suspect muslims and their muslim wannabee sympathizers? In today news! --A Labour minister has sparked controversy by claiming that an alternative symbol is needed for the Red Cross because of the logo's supposed links to the Crusades. Foreign Office minister Chris Bryant wants to replace it with a red "crystal". JAIL bosses have sparked fury by banning a cross from their new chapel in case it offends Muslims....But while the room features heated spas for Muslims to wash their feet, there is only a portable Christian altar which can be wheeled in and out when necessary. Hospital bans traditional Easter Hot Cross Buns = offensive to non=Christians ie: muslims. Cross banned from chapel after being in the chapel for over 60 years --at the College of William and Mary in Virginia, USA - offends muslims. Cross of St George is also used by Barcelona football team from Spain - on their badge - similar to the Inter-Milan incident it was deemed racist and offensive to muslims. Many muslim nations are altering the Barcelona shirts so it will not look like a cross. Prison officials in Britain are concerned that tie pins worn by officers featuring the St. George's Cross – the symbol on England's flag – could offend Muslims who might associate it with the Crusades of the 11th, 12th and 13th centuries. " These are just a few of the assaults made by muslims against the any representation of the Christian cross and/or National flags with cross symbols. A brief search of the web will find MANY more as well as affirm that no other ethnic, religious or otherwise groups voice any objection to or appear offended by the cross symbol. Clearly muslims are methodically working towards incremental eradication of any form of the Christian cross from public view on their way to the Islamisation of Europe. With the help of pandering, multicultural worshipping, politically correct dhimmis - including these Heathrow (and other) officials - British police and politicians -one can predict - in Great Britain - muslims could very well succeed. ARMED cops patrolling Heathrow Airport have been banned from wearing tiny Union Jack badges in support of British troops. Top brass claimed the tie-pin badges - which cost £1 with proceeds going to the Help for Heroes charity - were OFFENSIVE. But one officer asked: "How can the Union Jack be offensive? About 100 officers in the Metropolitan force's SO18 Aviation branch, which patrols Heathrow, bought the inch-square badges. Seventy per cent of them served in the Forces and many have children fighting in Afghanistan. Another cop said: "We're wearing the badges with pride. Most importantly, they are to show support for our soldiers at war. "Nobody has put out orders to remove rainbow symbols that gay and lesbian officers wear. Why discriminate against us?" A statement from the Met said: "The dress code states only approved corporate badging may be used." "This ruling is even more absurd coming this weekend on the 65th anniversary of the D-Day landings. "We must be the only country ashamed to display our national flag." I have chronicled many instances of British judges being soft on muslim criminals - especially illegal immigrants or failed asylum seekers . So here comes yet another case of a FAILED ASYLUM SEEKER - driving without a driver's license or auto insurance - who was responsible for the death of a 12 year old girl & left her to die pinned underneath his car. Yet this man was allowed to walk free by an idiotic immigration judge to wage yet another appeal of his deportation status. "A failed asylum seeker who left a young girl dying under the wheels of his car after a hit-and-run accident has been freed to the disgust of her family. Aso Mohammed Ibrahim was due to be deported after his applications for asylum and citizenship were kicked out. But the 31-year-old Iraqi Kurd has been released on bail from custody while he makes yet another appeal to stay in the UK. He says it is too dangerous for him to return to his homeland. The father of 12-year-old Amy Houston, who was mowed down by Ibrahim's Rover car as she went to the shops more than five years ago, has spoken of his outrage. Paul Houston, 39, an engineer, said: 'It's an insult to my daughter. I walk around the street and I'm looking over my shoulder every two minutes thinking, "Am I going to see this bloke?" 'How many more appeals does he get? It is my duty as a father to see this through to the end. 'If I didn't fight then another person would find themselves in this position and I don't want anybody else's kid to get killed. He's just laughing at the British justice system. It is so wrong.'" "She was trapped beneath it (car)but Ibrahim responded by getting out and running off. " 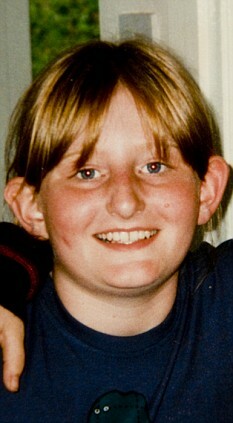 I ask - like Amy Houston's father does -How many denials does an asylum seeker get before he has exhausted his appeals? How many little girls will die because Aso Mohammed Ibrahim is undoubtedly still driving around - unlicensed and uninsured? What does it take, in Great Britain, to get deported? So is this what decades of suffragettes, the 60's-70's women's movement and modern day feminism has finally wrought? Under the ludicrous guise of multiculturalism/cultural sensitivities, female flight attendants working for a BRITISH based airline (BMI) are now ordered to wear the abaya (muslim robe or dress) after flights to Saudi Arabia when they are in the country. "BRITISH air stewardess was sacked for refusing to fly to Saudi Arabia after she was ordered to wear a traditional Islamic robe and walk behind male colleagues. Lisa Ashton, a £15,000-a-year stewardess with BMI, was told that in public areas in Saudi Arabia she was required to wear a black robe, known as an abaya. This covers everything but the face, feet and hands. She was told to follow her male colleagues, irrespective of rank." "Earlier this year an employment tribunal in Manchester ruled that BMI was justified in imposing “rules of a different culture” on staff and cleared it of sexual discrimination...........In the employment tribunal decision over Ashton’s case it was ruled there was no evidence that women would regard BMI’s requirements on wearing the abaya, or walking behind men, as “placing them under any disadvantage”. Ashton’s case was dismissed." One wonders how many muslim men sat on that muslim enriched City of Manchester employment tribunal and clearly any other members are multicultural nitwits and dhimmis. The high muslim population undoubtedly provides plenty of fare paying patrons for BMI and the reason behind the increased flights to Saudi Arabia and other muslim nations. It would also be interesting to find out how much, if any, Saudi monies directly fund BMI . Thus the overt subjugation of women to men & discrimination against women has been given the 'high-five' by Britain's Department of Employment. One wonders what would happen if the reverse had been demanded - that muslim female airline employess from Saudi Arabia (or other muslim nations) were told they MUST remove their abaya, niqab and or hijab and wear only Western clothes when they come into Britain - I think we all know the answer. Recently, Saudi Arabia did ban a BMI female stewardess for carrying a Christian Bible. "Her letter of dismissal said it was “proportionate” to ask female employees to walk behind men out of respect for Saudi culture. BMI has also defended its decision to require female staff to wear abayas." BMI or British Midlands Air - should be renamed British Muslim Air. A BRITISH air stewardess was sacked for refusing to fly to Saudi Arabia after she was ordered to wear a traditional Islamic robe and walk behind male colleagues. Saudi experts and companies that recruit women to work in the country say it is a “myth” that western women are required to walk behind men. There is no requirement for them to wear the abaya in public, though many do. Staff were also given abayas and were required to put them on when leaving the aircraft. Ashton, a practising Christian, was advised by union officials that it was considered a part of the uniform and she could face disciplinary action if she did not wear it. Her letter of dismissal said it was “proportionate” to ask female employees to walk behind men out of respect for Saudi culture. BMI has also defended its decision to require female staff to wear abayas. The Foreign Office advises women to dress “conservatively” but does not specifically advise wearing an abaya in public places. It also does not refer to any rule or convention that western women should walk behind men. In a legal case in 2002 Colonel Martha McSally launched a legal action over American military orders that female servicewomen should wear an abaya in public places in Saudi Arabia when American women diplomats and the wives of servicemen were not expected to wear the garment. The Senate subsequently passed legislation that prohibited defence officials from requiring female personnel to wear abayas. In the employment tribunal decision over Ashton’s case it was ruled there was no evidence that women would regard BMI’s requirements on wearing the abaya, or walking behind men, as “placing them under any disadvantage”. Ashton’s case was dismissed. The firm said last week the tribunal ruling was “self-explanatory” and would not comment. Since leaving BMI, Ashton has embarked on a musical career. She said one of her first songs, Shame, Shame, Shame, performed by the band Looby, was inspired by the airline. The below article is a follow up to my earlier post MUSLIM BUSDRIVER BOOTS PASSENGERS OFF BUS SO HE CAN PRAY which can be read here. It appears that now the bus Company, London United Busways, wants to provide a rationlized excuse for Arunas Raulynaitis actions: choosing to stop a bus, telling the passengers they HAD to get off because it was time for his muslim prayers, laying down his prayer mat - and praying. Now the dhimmi bosses say it was all a misunderstanding. Mr. Raulynaitis, in the middle of transporting a busload of people, was really "on his 10 min. break". The control room told the busdriver to stop his bus since the bus was running late. Passengers really "got the boot" so that they could facilitate bus schedules and stand outside the bus to wait for another bus to pick them up. The passengers stated they waited at least 15 minutes for the second bus which was supposedly immediately behind the Raulynaitis bus - Apparently elderly passenger's confusion and other passengers being made late for their jobs and appointments, by such a ludicrous arrangement/excuse, never entered into this clearly bogus scenario. We are supposed to swallow the huge coincidence that Mr. Raulynaitis's break time and prayer time just happened to concur with control room radio orders for the bus clearout. One BIG problem with this entire rationalization: apparently the busdriver was unaware of the bus tardiness problem as the reasons Raulynaitis gave the passengers, for their mandatory departure, was his PRAYERS. This fairy tale dhimmi excuse is nothing more than rubbish! A BUS company has defended its Muslim driverwho stunned passengers by asking them to get off before kneeling down to pray. London United Busways say they have carried out a full investigation after driver Arunas Raulynaitis rolled out his prayer mat to perform his daily prayers, facing Mecca on the number 81 bus in Langley. They added that the control room had in fact radioed Mr Raulynaitis to terminate the bus outside Langley Fire Station in London Road because it was running late due to road works. Passengers were asked to leave the vehicle while they waited for another bus to pick them up to complete their journey. Steffan Evans, spokesman for London United Busways, said: “The bus was delayed and by the time it had reached Langley the next bus on the route had caught up. But a 21-year-old passenger – who was hoping to join the bus before it terminated – told the Observer: “People were fuming because they said the driver had asked them to leave so he could pray. Muslims pray five times a day at pre-dawn, noon, mid-afternoon, sunset and evening. However, Mohammed Ayub, trustee at Slough’s Stoke Poges Lane Mosque, said that according to the Islamic faith the driver’s actions had not been necessary. He added: “It would have been wrong if the driver asked everyone to leave the bus just to pray. 2.) Have two wives in different cities. 3.) Whine that a driving ban would keep you from fulfilling your "matrimonial duties" to your wives - after all you could have 4 wives according to the Quran. (Plus you own a business). 4.) Appear before a dhimmi Sheriff/Judge who actually swallowed that line of baloney and thus gives preferential treatment to muslims. 5.) Oh! - one more - Be a world famous football personality. His lawyer told a Scottish court the Muslim restaurant owner has one wife in Motherwell and another in Glasgow - he is allowed up to four under his religion - and sleeps with them on alternate nights. Lorna Jackson, from the road safety charity Brake, called the decision "astonishing". She said: "Regardless of the number of wives or businesses this man drives to, he broke a law which is there to protect everyone. "Travelling just a few miles over the limit in a 30mph zone can be the difference between life and death if you hit someone, let alone driving at more than twice the speed limit. "Drivers know the law, and they know the punishment they could face when they break it. "For the courts to allow someone to keep their licence when they have so blatantly flouted the law and put peoples' lives at risk, on the basis of an excuse such as this, is astonishing." 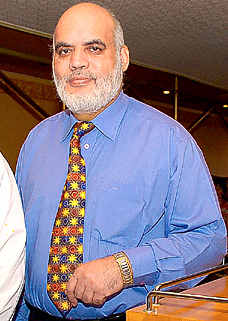 Anwar, wearing a suit and an open-neck shirt, had made no comment during his five-minute court appearance, apart from confirming his identity. But last night, speaking from his restaurant Sanam, he said: "It is true I have two wives. "Muslim men are allowed up to four. But I am not a religious leader and it is not my place to comment. "As a matter of respect to my wives I would not comment on my home life. "The sheriff did not ban me because I need my licence to run my business, although my wives were also part of the decision." 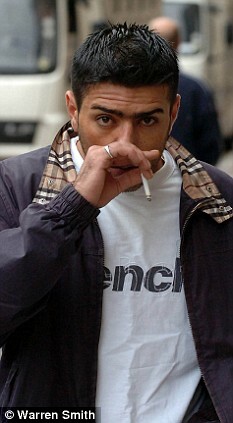 The court had heard that Anwar was on his way home from Falkirk to his Glasgow wife on August 21, 2007, when he was caught by city police using a hand-held speed camera. His lawyer, Paul Nicolson, said: "He realises his licence is at risk, but this is an unusual case and is very anxious to keep his driving licence. "He has one wife in Motherwell and another in Glasgow and sleeps with one one night and stays with the other the next on an alternate basis. "Without his driving licence he would be unable to do this on a regular basis. "He is also a restaurant owner and has a restaurant in Falkirk, which he has had for the past 30 years. "He has had a clean driving licence until now, and on this particular evening was on his way home after a busy evening at his restaurant." Anwar's successful plea joins a long list of unusual excuses heard in the courts down the years. Manchester United manager Sir Alex Ferguson was cleared of illegally driving on a motorway hard shoulder because he said he was rushing to a toilet. David Beckham also escaped a ban after arguing he had to break the speed limit to escape a photographer. This news story should really be in the category = YOU COULND'T MAKE THIS STUFF UP! So will all muslim busdrivers start stopping buses - FIVE times a day - to pray? The bus company is taking the incident under "full investigation" which will likely mean NOTHING will be done to the driver for his total disregard for the passengers under his care. Go to link on first sentence for video of this farce. Yesterday the driver, who said his name was Hrun, told The Sun: “I asked everyone to get off because I needed to pray. I was running late and had not had time.